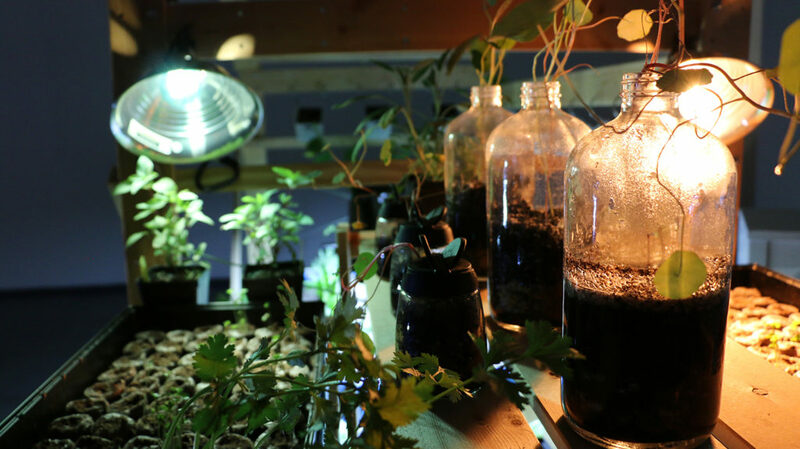 FSU Art Assistant Teaching Professor Chalet Comellas is exhibiting her video installation project, AIR: Mobile Micro Greenhouse at the Acadiana Center for the Arts in Lafayette, LA. The invited group exhibition, ART I-10, is curated by Brian Guidry and Mary Beyt. The project is funded by a National Endowment for the Arts (NEA) grant and features work by Brandon Ballengee, Pablo Gimenez-Zapiola, Wes Kline and others. The show’s theme explores identity, a sense of place, and a glance at our global future. This is a multifaceted project and one of the goals is to make art and art viewing a common activity for this southern corridors’ cultural experience as well as cement a connection between growing art communities. Addressing this the AcA has developed an exhibition resource site and printed materials that will assist in this effort. The AcA exhibition is a P.S. Satellite – a Project of Prospect New Orleans and runs in tandem with Prospect.4: The Lotus in Spite of the Swamp. The dates of the show are October 14, 2017 – February 25, 2018. This work is the outcome of Comellas’ 2106 FSU Professional Development Grant.